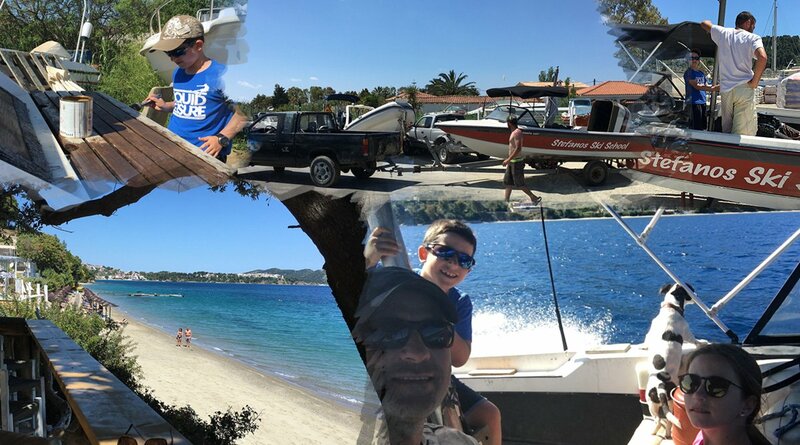 Skiathos summer started and we are ready for one more year full of excitement lots of waterskiing, all crazy watersports & Boat hire. Let me explain what you see in the picture !! The boat in the water with a new heart having crazy slow rides with our dog Lucky barking and barking ……what ?..I don’t really know !! And the great view on Vassilias beach is from the new Rada beach bar restaurant which I must admit I was impressed with the new set up and decorations ! !